Arguably the most powerful woman in Ghana football today is former Airtel Ghana CEO, Lucy Quist, who has been appointed the Vice President of the Normalisation Committee to run Ghana football will assist businessman Dr. Kofi Amoah to run Ghana football and organise the election of new executives of the Ghana Football Association (GFA). The gender-balanced four-member Normalisation Committee also has Dua Adonten ( a former Kotoko Board member) and Naa Odofoley Nortey (a Board member of the Attorney General’s Department – Legal Aid Scheme) as members. By virtue of the mandate of the Normalisation Committee, Quist will wield considerable power in Ghanaian football circles over the next few months. Sources say Quist is expected to bring her rich experience in corporate governance and administration to bear in the day-to-day running of the GFA. Quist is known as a trailblazer in the Ghanaian telecommunications sector having become the first Ghanaian woman to lead a multinational telecom company (Airtel) in April 2014 although a lot is not known about her involvement in sports asides CSR activities including the Airtel Rising Stars competition during her time at Airtel. The Airtel Rising Stars was a youth football initiative undertaken by Airtel Africa. The programme, launched in 2011 focused on identifying and nurturing budding soccer talent from the grassroots onto an international stage. It targeted both boys and girls between the ages of 13 – 17. 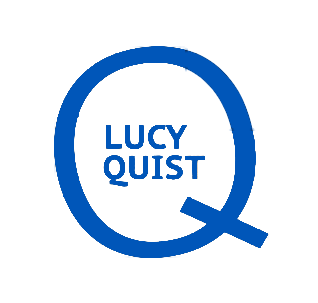 Born in 1974, Lucy is the founder and CEO of Quist Blue Diamond – a company that leverages technology, engineering, data science to transform business models – and a co-founder of , the parent company of the FreshPay payment platform in the Democratic Republic of Congo (DRC). She also serves as the President of the African Institute of Mathematical Sciences, Ghana. She is a technology professional who advocates for greater participation of young people in for development. Born in London, United Kingdom, to Ghanaian parents Peter and Mary Afriyie, Lucy Quist spent her formative years in both Europe and Africa. She went to Wesley Girl’s High School in Cape Coast and attended form at the Presbyterian Boys’ Secondary School, Accra, both in Ghana. She went on to study at the University of East London, graduating with a first-class honours degree in Electrical and Electronic Engineering. She holds an MBA from INSEAD in France. Quist began her working life as an Electrical and Electronic Engineer at Ford Motor Company, progressing to Chartered Engineer (IET), UK. She joined the Royal Bank of Scotland as a change manager. In 2008, she stepped into telecommunications. Quist started her telecommunications career at Millicom International Cellular (MIC), where she worked in business development, sales & distribution, and marketing. Lucy Quist led the transformation of Vodafone Wholesale from a local to an international player. Later she went on to become the MD of Vodafone Ghana’s Enterprise division.Quist joined Vodafone in Ghana from Millicom as Head of Strategy & Planning. She also ran the company’s wholesale and enterprise businesses. Since taking over the helm of affairs at Airtel Ghana, as the first Ghanaian woman to lead a multinational telecom company, Quist has successfully re-positioned the company into the fastest growing telecom brand growing customer market share for both voice and data. She also led Airtel Ghana to win more than 20 prestigious awards. She personally led #EvolveWithSTEM, Airtel Ghana’s CSR initiative to encourage young people to participate in Science, Technology, Engineering and Mathematics. Quist resigned from Airtel in 2017 in the face of a merger between Tigo and Airtel. “Particularly, I want to thank all those who have been part of the many initiatives I have led over the last few years to empower young people and every young person who works with me for that matter. Notably the Evolve with STEM and the Bold New Normal initiatives. I look forward to empowering more young people even as I continue my professional leadership journey. Together we will create the Bold New Normal of prosperity for our country and continent,” she added. Quist serves on both international and local Boards of several establishments including the International Board for African Institute for Mathematical Sciences (AIMS), Petra Trust Company Ltd, Obaatan Pa Women’s Hospital, the Business Environment Enabling Programme under the UK Department of International Development (DFID), the Business Sounding Board for the Danish Embassy, the Industry Advisory Board for Ashesi University, The Exploratory – an initiative of the African Women Advocacy Project, Ghana Climate Innovation Centre and Women in Business Initiative, the Africa CEO Forum.